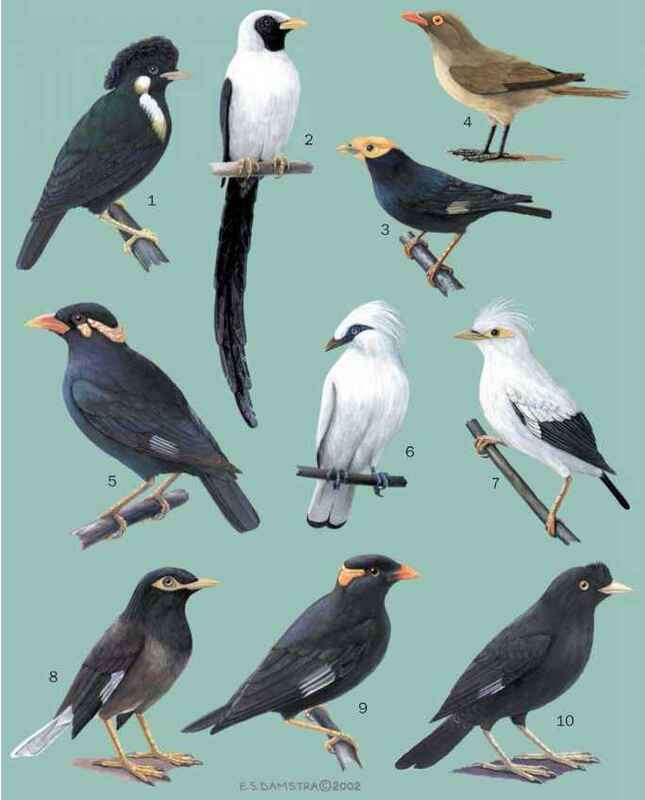 English: Plain-headed rhabdornis, plain-headed creeper; French: Rhabdornis a tête brune; German: Braunkopf-Rhabdornis; Spanish: Trepador Filipino de Cabeza Lisa. H Resident color differences. Both sexes have a black bill, dark brown eyes, and legs ranging from grayish yellow to horn. The upperparts are medium-brown, while the crown, tail, and primaries are darker brown. The mask is dark brown, bordered above and below by white. The throat is grayish white and the center of the belly is white, while the breast, flanks, and undertail feathers are streaked white and brown. The female has lighter brown upperparts and mask. 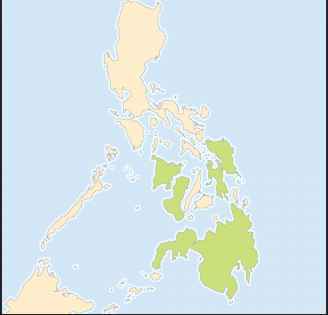 Endemic to the islands of Samar, Basilan, Leyte, Mindanao, Negros, and Panay. Prefers tropical forest over 2,600 ft (800 m) above sea level, but will sometimes range into lower levels. Behavior is similar to that of the stripe-headed rhabdornis, but stripe-breasteds prefer smaller foraging flocks of 4-5 individuals. The birds will sometimes roost in large numbers in the isolated canopy of a group of trees in a clearing. The call is a high-pitched note of "tzit" repeated often, sometimes in a rapid staccato. Forages in middle to higher altitude forests, but may range lower. Its diet covers a wide selection of insects and fruits. 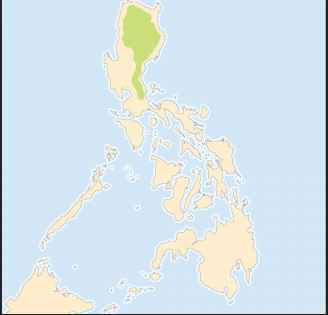 On Mindanao, field researchers saw one individual snag and eat a tree frog. In eastern Mindanao, residents witnessed over 100 Rhabdornis inornatus individuals gathering in a great flock to flycatch among seasonal swarms of flying insects. Nests in April; enlarged gonads in March and April. Eggs not described.